They say that politicians are out of touch with society and their constituents. Many of those MPs profess to be football fans often have a view of the game that demonstrates an even greater distance between them and the man in the street. So what chance have we got when an octogenarian ex-MP starts talking of the need for merger in Sheffield? That was then. Today he demonstrated he knows little about his club or their fans - you only have to view the forum thread on Owlstalk to see that. He demonstrated that he knows little about Sheffield United, modern day football and the fans of this city. Joe Ashton is an old-school former MP of the ilk that thinks he who shouts loudest, clearly wins the argument. Like the senile old uncle at a family reunion Joe spouted his views to The Star, supported by factual inaccuracies and huge misconceptions. None of which the paper saw fit to pick him up on. “The fans are sick of it now, both sets." “I also think a combined team could play at Bramall Lane or Hillsborough - not the Hillsborough ground as it is now, that will always be associated with the disaster that claimed 96 lives. They should knock it down and build a new, modern ground with a suitable memorial. This is not new talk from Ashton. Back in 2000 he spoke of his feelings on a Steel City football merger in a less expectant manner and less positive terms, yet Mickey Mouse talk of a South Yorkshire team in 20 years still passed his lips. 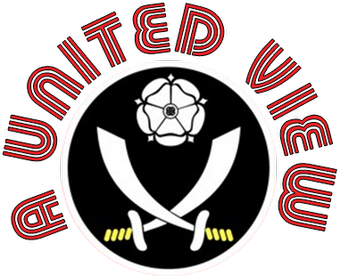 “There was some talk of a merger from Mike McDonald (AUV - then chairman) at Sheffield United, but the fans of both clubs would never accept it. The problem with mergers and so on so far has been that it is small businessmen have tried them. If big companies like Disney and Warner Bros get involved, then it might happen. Sheffield, a city of so many football firsts - the first football club (as recognised by FIFA), the oldest professional football ground in the world, the venue of the first game played under floodlights - is suffering another season without first division football, without a realistic hope of reaching a major final and there is little sign of the situation changing soon, despite the arrival of Saudi investment at Bramall Lane. While ever that is the case "know-nowts" like Ashton will still talk of this supposed panacea. Twenty years on from the all-Sheffield FA Cup semi-final, between what were then two Premier League clubs, the city has watched Wednesday struggle to retain the Championship status gained 12 months previously and remain rooted in the bottom three this season. Whilst across the city United stumbled towards seemingly inevitable play-off failure and are just starting to recover from the disastrous start under the short-lived reign of David Weir. Wednesday reached both cup finals back in 1993, losing out to Arsenal each time. Two years earlier they enjoyed cup success in the Rumbelows Cup Final, beating Manchester United. 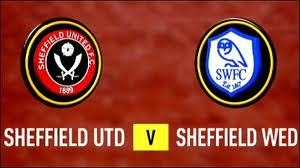 Prior to that you have to look back 56 years for Sheffield's last major trophy - Wednesday's cup win and even further for Wednesday's two titles and the Blades beating Cardiff City in the 1925 FA Cup final (their 4th cup success). United's only league title coming before the turn of the 20th century. In a way, the football clubs are representative of the city they call home. Sheffield is a city in stagnation, stifled by the poor decisions of those who run it, at odds with the national rulers and always placing barriers in front of potential investment and development from outside parties. Ashton's peers and followers have put roadblocks in front of a city that could have been on the move. The leaders of Sheffield City Council have perfected the art of portraying themselves as the victims, suffering misfortune and bad luck without recognising their own failings. Never seeing the positive opportunities that are there, like finding a home within the city boundaries for the World's Oldest Club or by leveraging the marketing opportunities given by the city's place in football history. Talk of a World Football Museum was just that and it is probably wise it was when the National Centre for Popular Music was as big a white elephant as Sheffield Airport. This negative and corrosive mentality of failure and insularity had started to pervade both the city's football clubs and their supporters. Listening to the phone-ins, reading the internet forums and you can see that within Sheffield there is a feeling that football needs strong Sheffield clubs, but does that feeling exist outside of the city? Despite the positivity towards the great atmosphere and large crowds when the Sky cameras visit, I don't believe that clamour exists. The game has moved on without a concern as to who is and isn't at the top table, leaving the Sheffield clubs lagging behind, increasingly forgotten. In a similar vein, the city stumbles along, whilst Manchester, Leeds, Birmingham, Liverpool, Newcastle and many others attract money and investment. Regeneration after the loss of major industry has not happened in the Steel City to the same extent as elsewhere. Sheffield as a city is an unattractive prospect for the money men and that has been replicated in football. The failure of the city to develop left few local people with the wealth to effect significant change at either club. United were lucky. Somewhat unexpectedly Kevin McCabe leveraged a deal which brought significant money into the club, at a cost to himself and his family companies, but with the long term interests of the club at heart. Milan Mandaric hasn't got that same attachment to Wednesday and as the club regresses on the pitch he will become increasingly desperate to get out at a profit. Who he sells to and the custodianship of the club will be potentially at risk. Let's not forget that he sold Portsmouth to the Gaydamaks. Some, like Joe Ashton, may say that the only way to make Sheffield football an attractive prospect is a merged club, capitalising on the potential combined fan base and utilising a single city stadium, a thought that would be heresy to most fans of the Blades and Owls and would most probably lead to new United and Wednesday clubs dividing the city's support further and more local interest in Sheffield FC. But as each year passes without success, and a generation of fans fail to see Premier League football return to the city, might that defiance start to crumble? Possibly, but that assumes everyone is desperate to reach the Promised Land of the Premier League, which seems to become increasingly tarnished year after year. The only feasible way that it could happen is if you have two owners interested in a merger for profit making purposes. The uncertainty over Wednesday's future ownership puts the club at risk of such a benefactor taking over, with little local interest in history or the city. However, whilst ever one of the two clubs has a supporter involved in its guardianship - Kevin McCabe's controlling interest at United - then the wider risk is minimised. Maybe both halves of Sheffield have something to be thankful to the McCabe family for at present? I agree with most of this, but I don't know why you're so down on local politicians. It's businessmen who run the two clubs, not politicians. The book Fit and Proper, as well as being an ideal read for masochistic Blades who like to reminisce about their pain, is a damning indictment of the succession of businessmen who have been involved in running the club over the decades. Men who made millions in business, some of them honestly, but when it came to running a football club revealed themselves to be inept often to the point of weirdness.